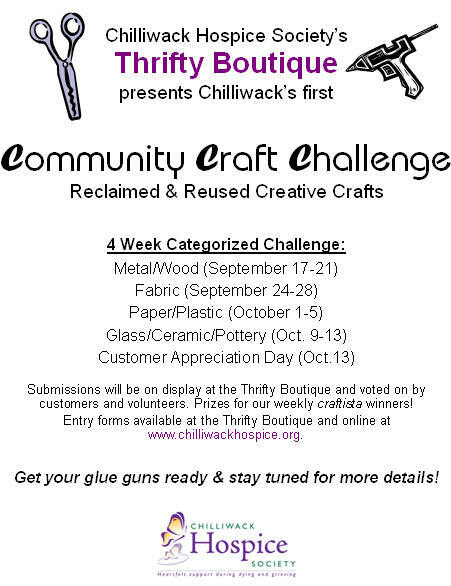 hrifty Boutique presents Chilliwack's first Community Craft Challenge of reclaimed and reused creative crafts. 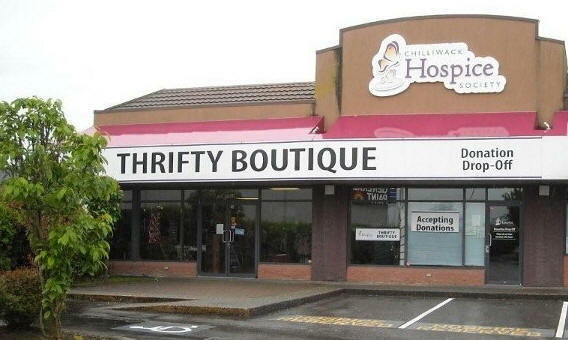 Submissions will be on display at the Thrifty Boutique and voted on by customers and volunteers. The challenge is on now and runs for four weeks. Prizes for our weekly "Craftista" winners! Get your glue guns ready & stay tuned for more details!